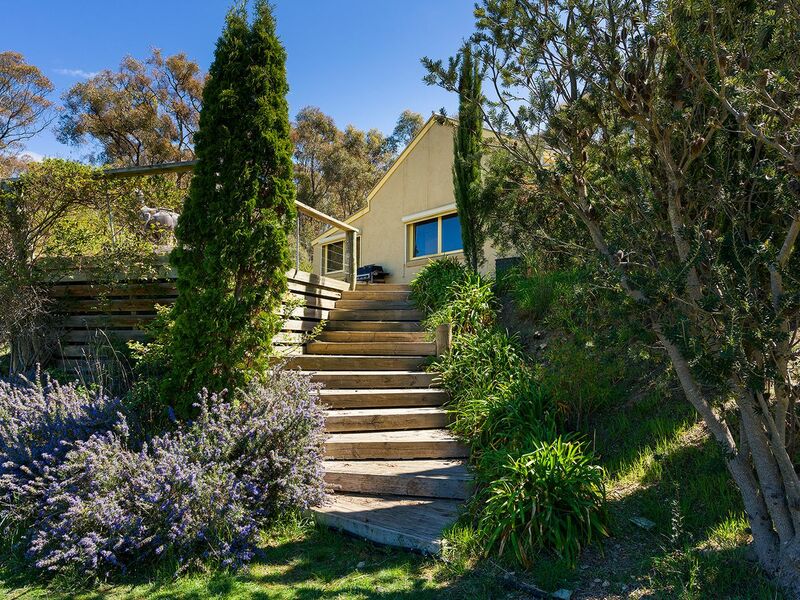 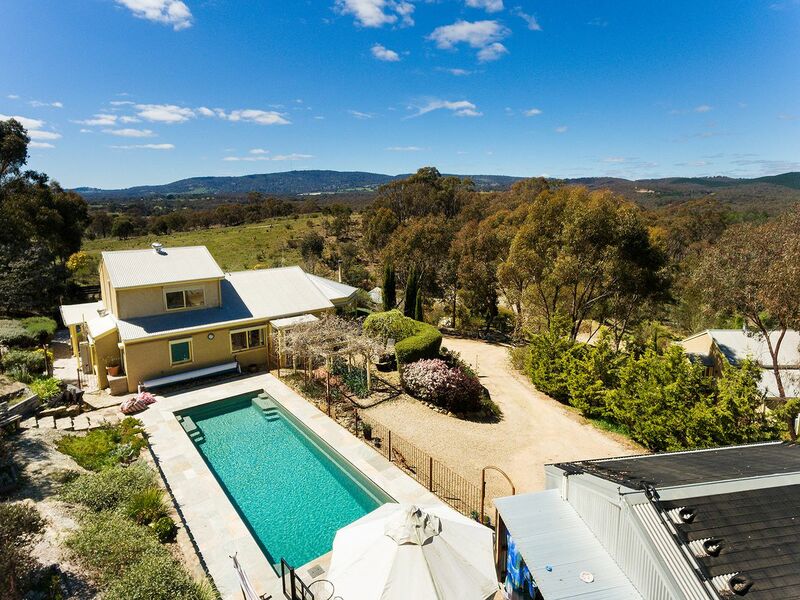 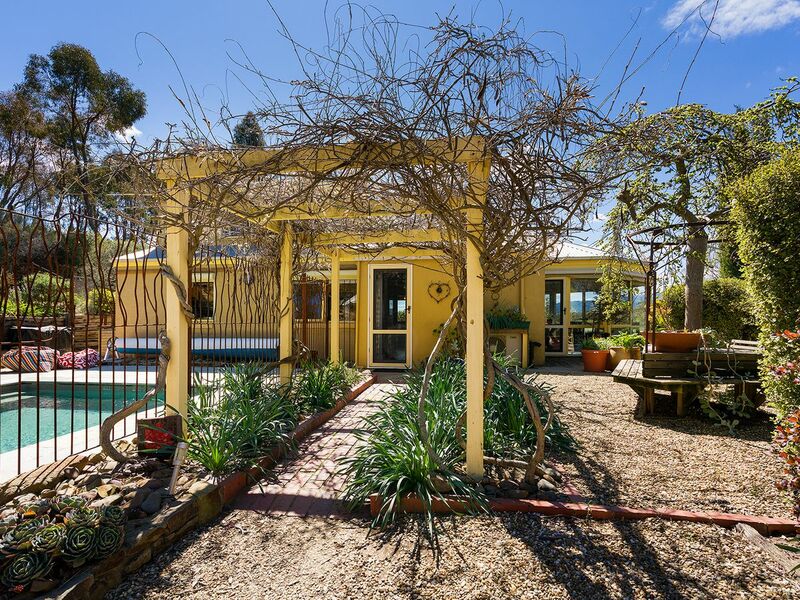 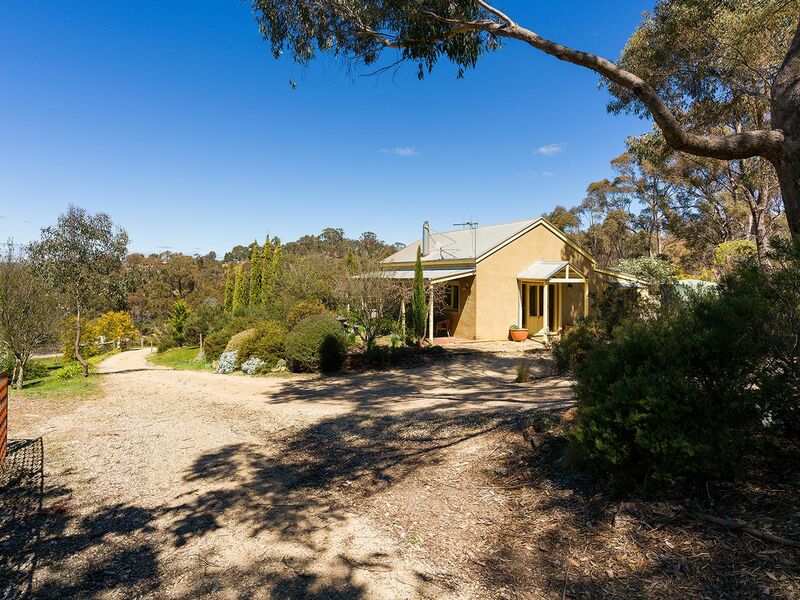 Quintessential country property on 10 acres, hill top living reminiscent of northern Italy, magnificent views, contemporary two storey three bedroom home, plus spacious self-contained one bedroom cottage for guests, separate income or teenage retreat. 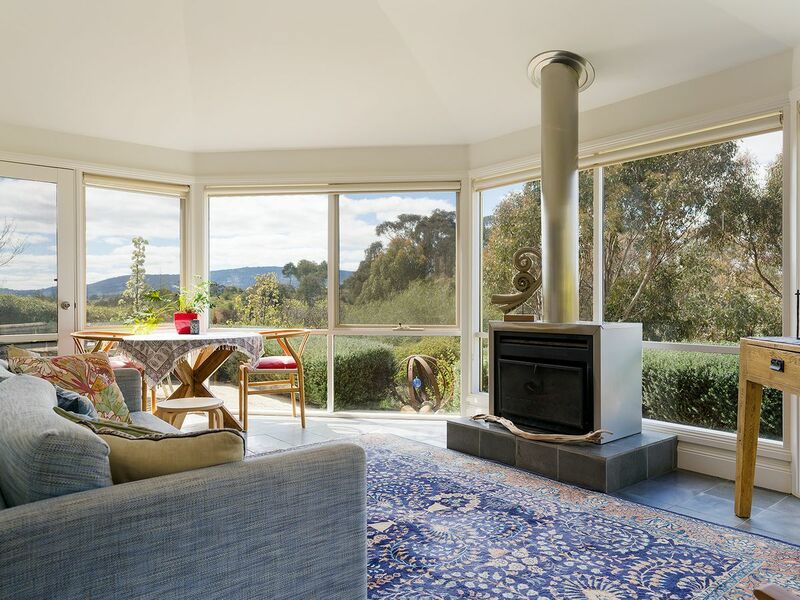 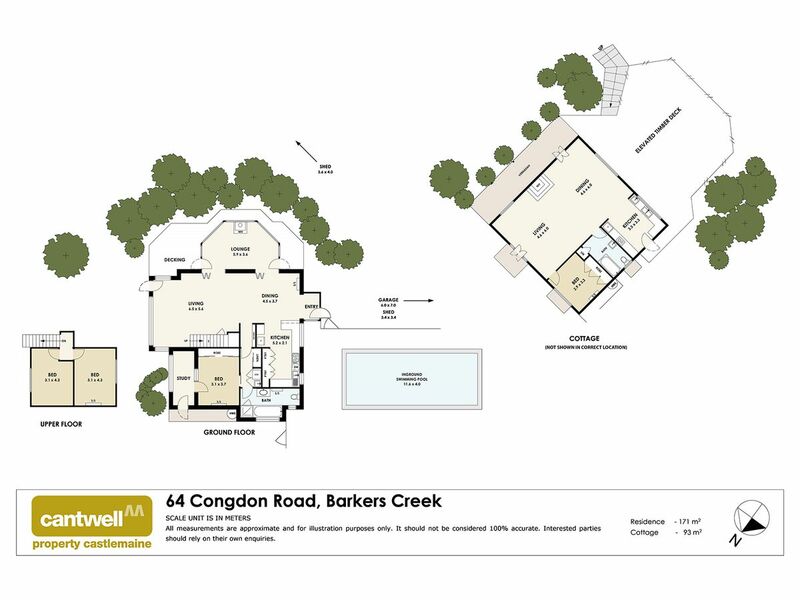 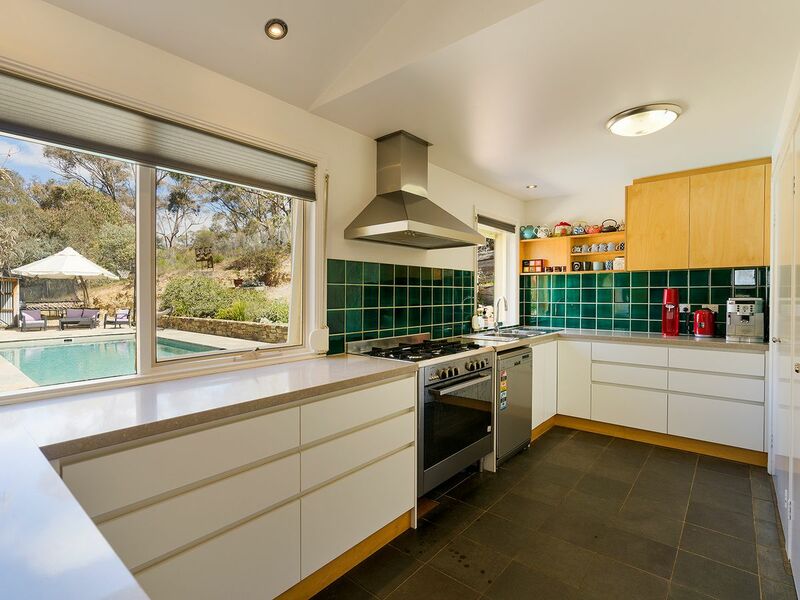 The main home features stylish modern kitchen, with quality appliances adjoining family living area plus second living with fabulous views, open fire, cathedral ceilings, downstairs main bedroom, adjoining study and family bathroom, upstairs two bedrooms. 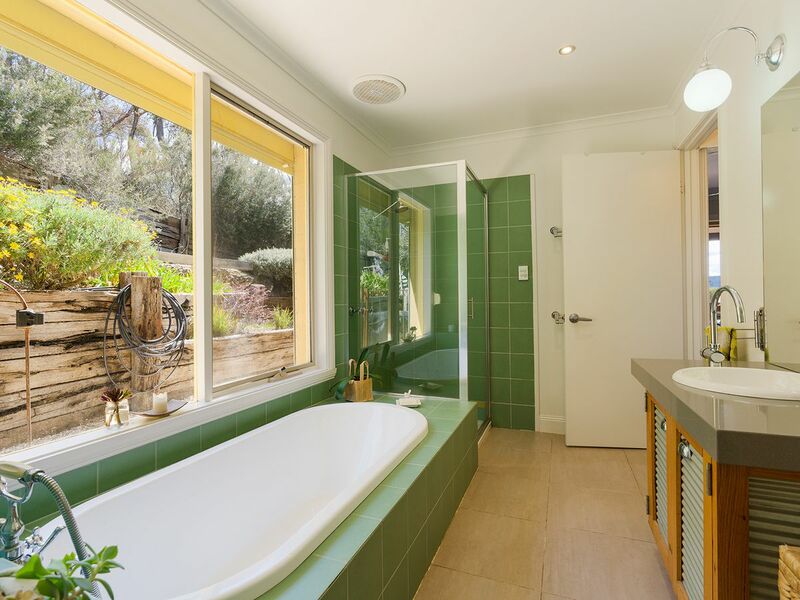 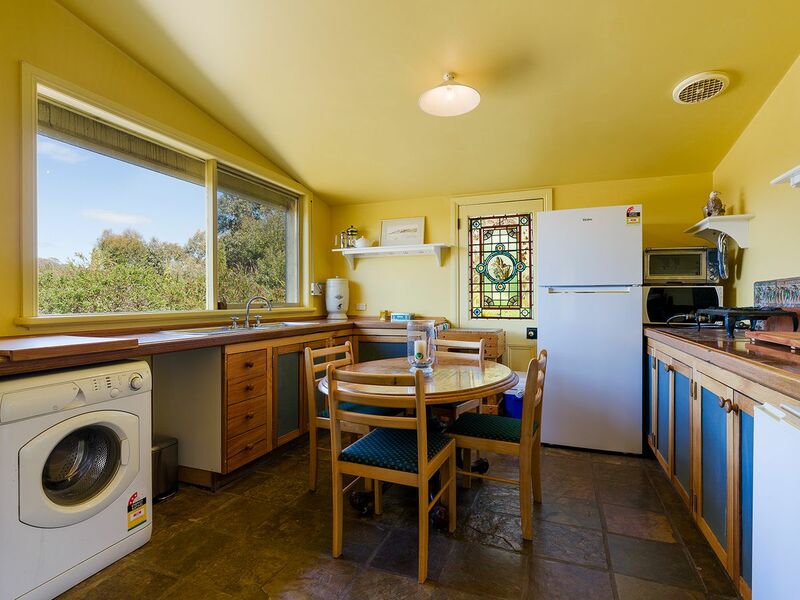 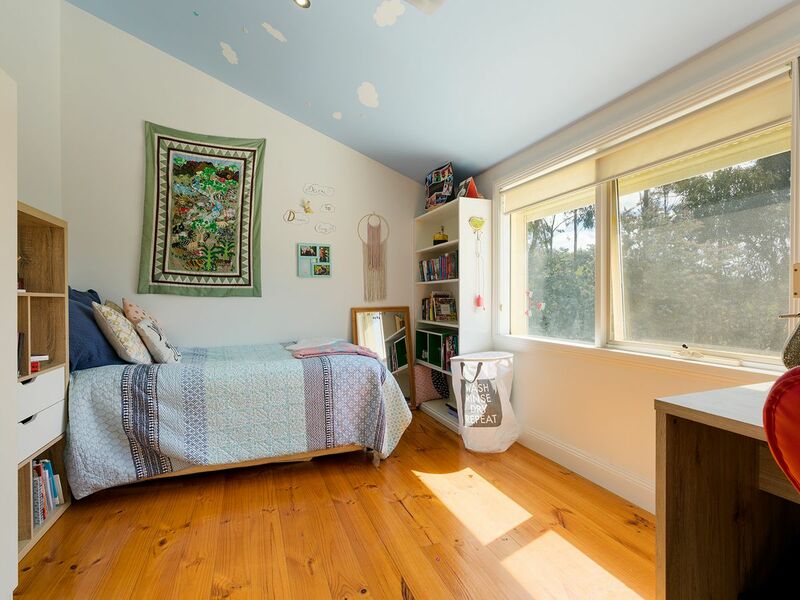 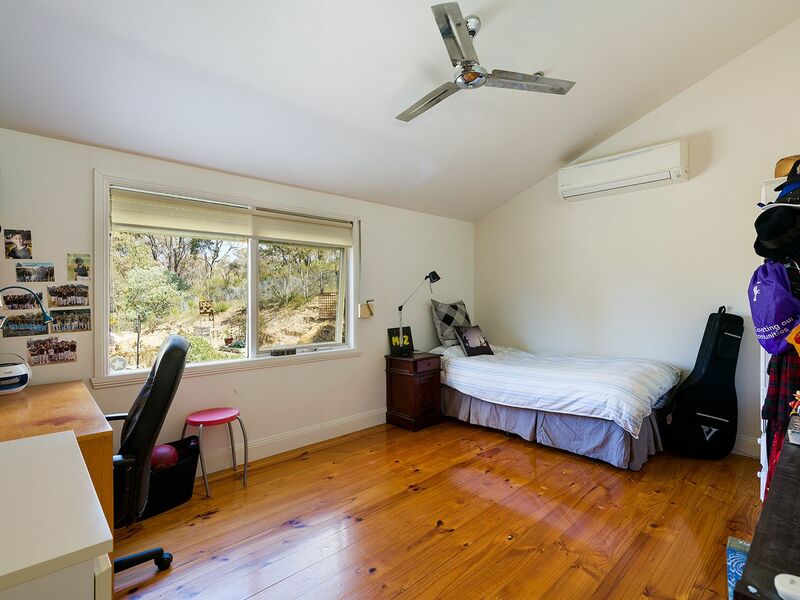 Improvements include double glazing, reverse cycle heating and cooling, 1kw integrated solar system, NBN connection. 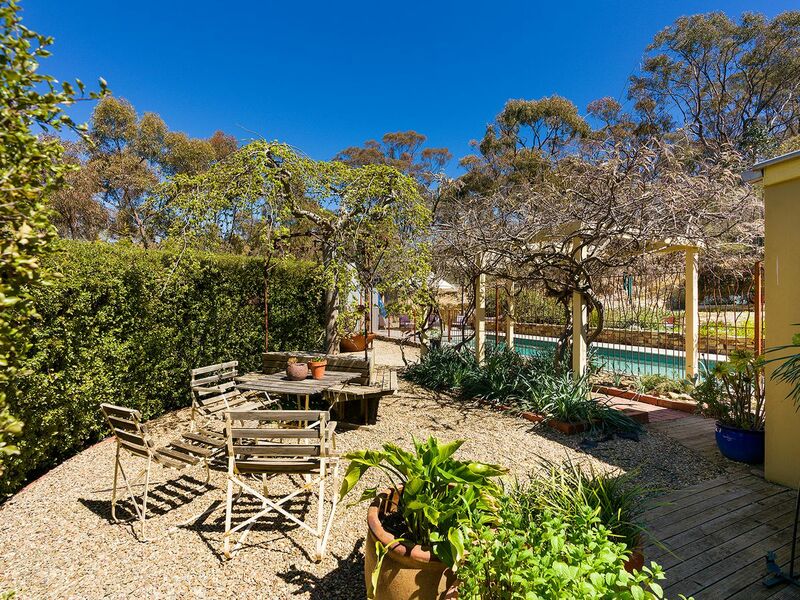 Set within landscaped gardens, with a magnificent 11 metre salt chlorinated, self-cleaning, solar heated pool with stone paving and bespoke iron fencing, orchard, vegetable garden plus excellent tank water storage. 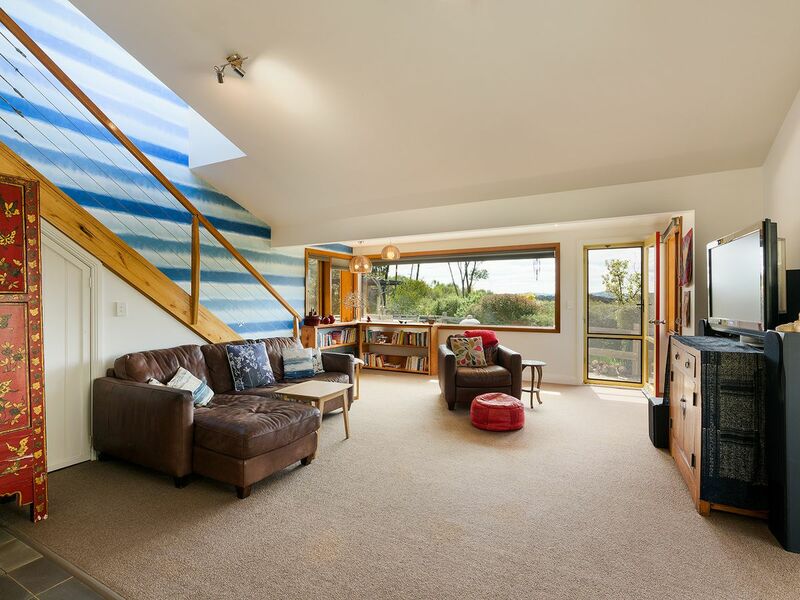 The self-contained cottage of one bedroom, bathroom and spacious kitchen/ living, solid fuel heating, adjoining huge timber deck for entertaining or relaxing. 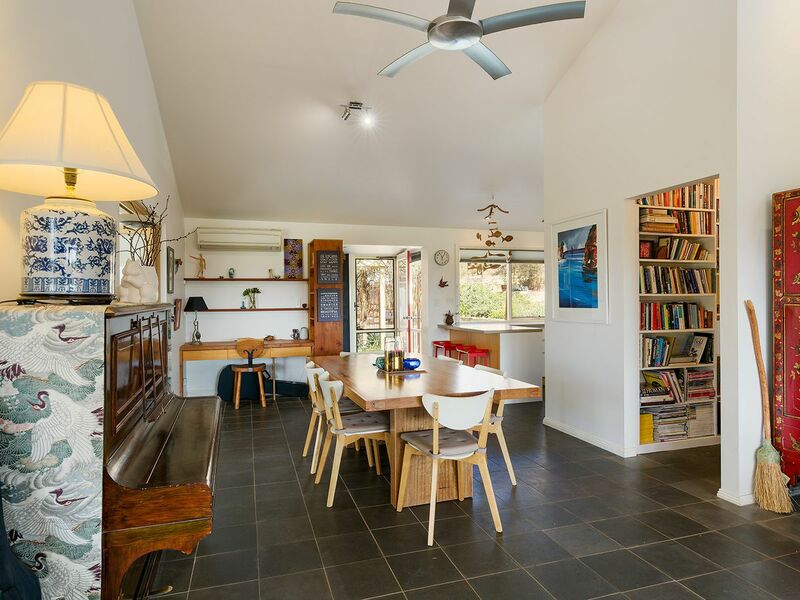 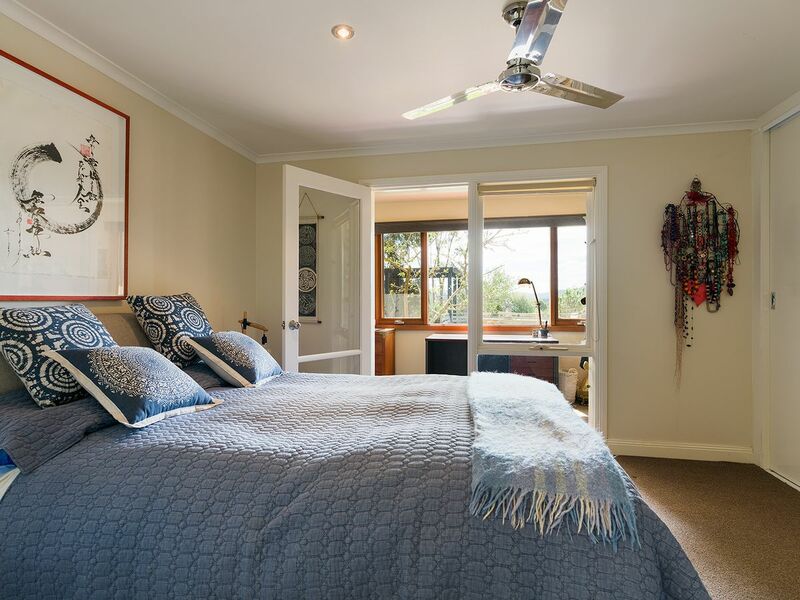 The cottage is separately located to create privacy and is ideally situated for those looking for accommodation for guests or a second income. 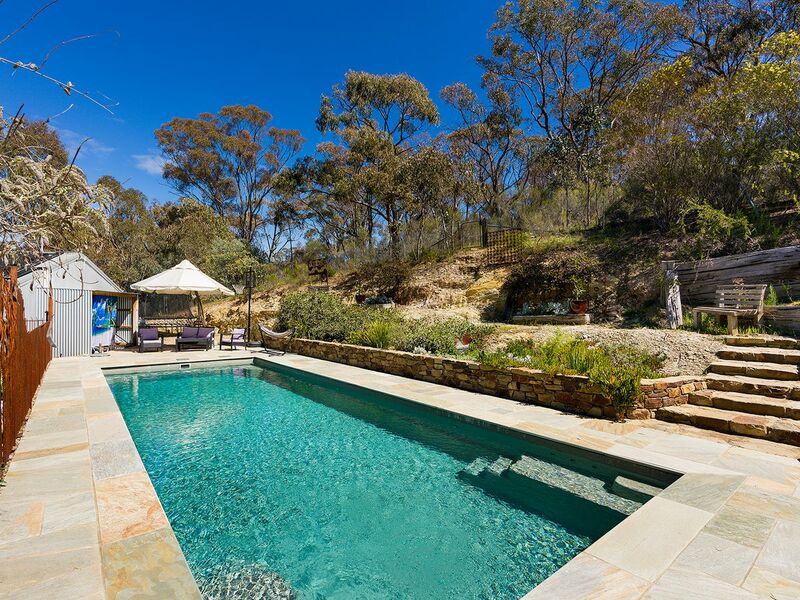 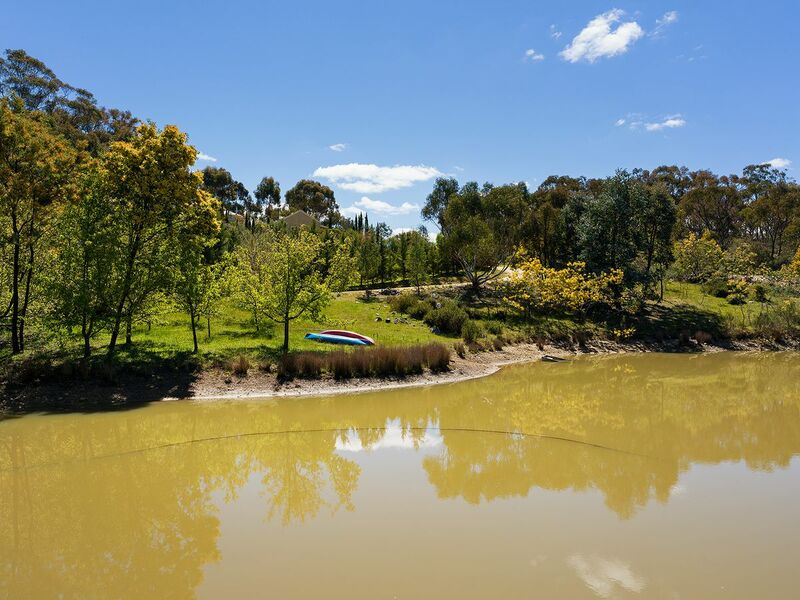 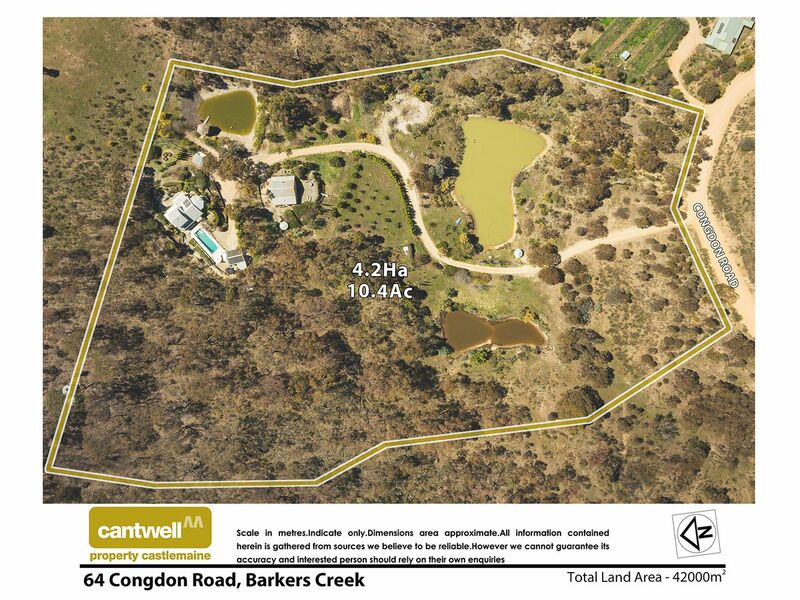 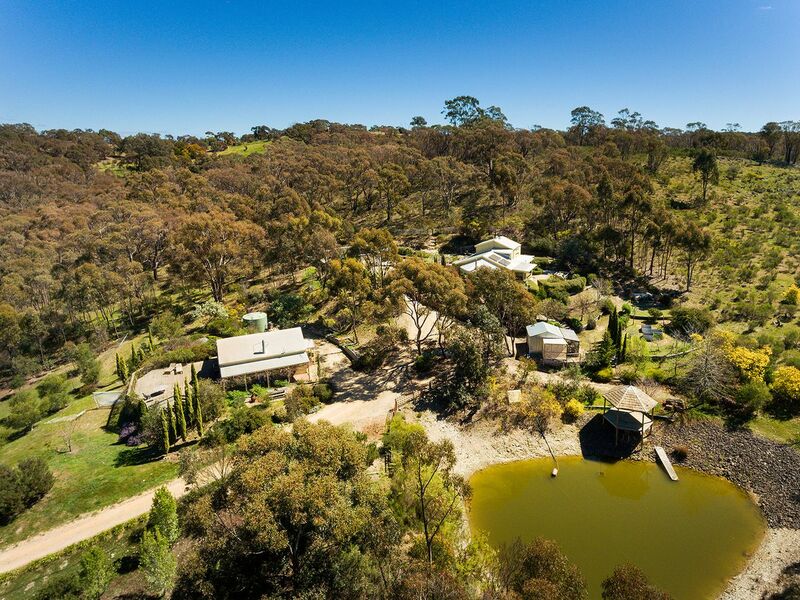 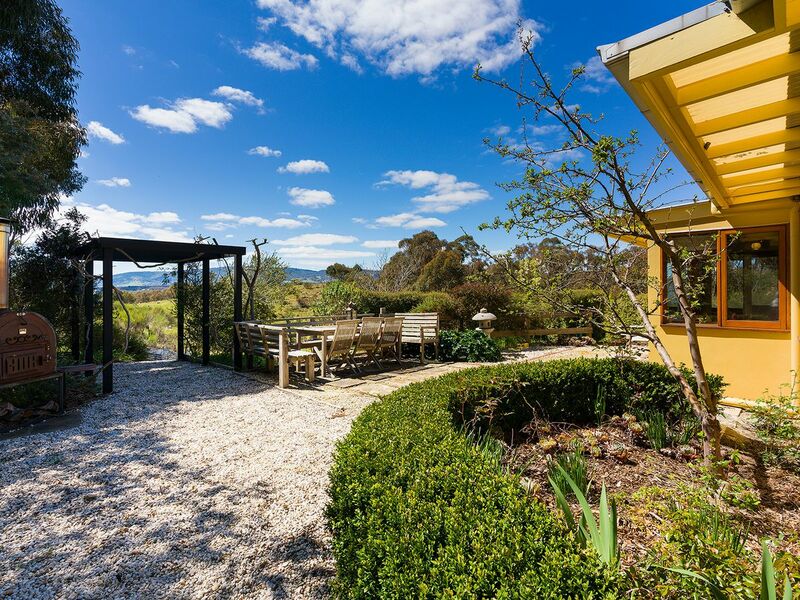 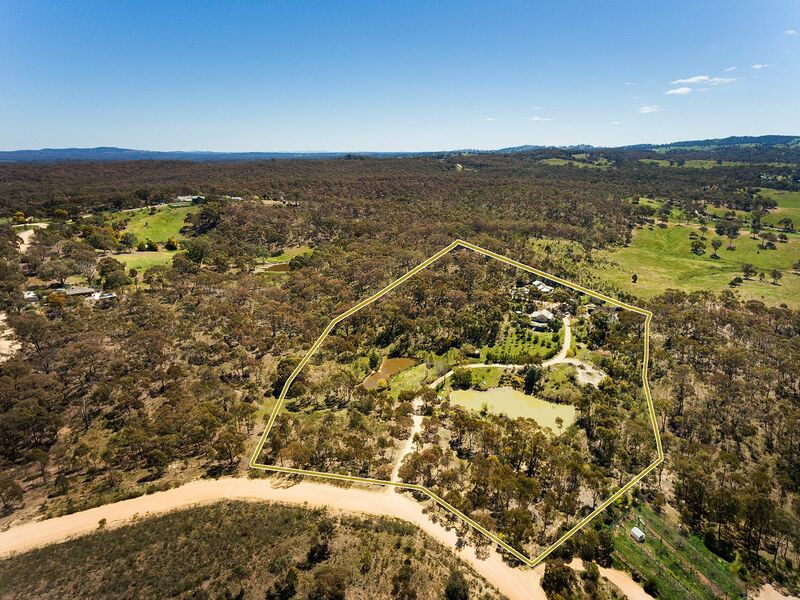 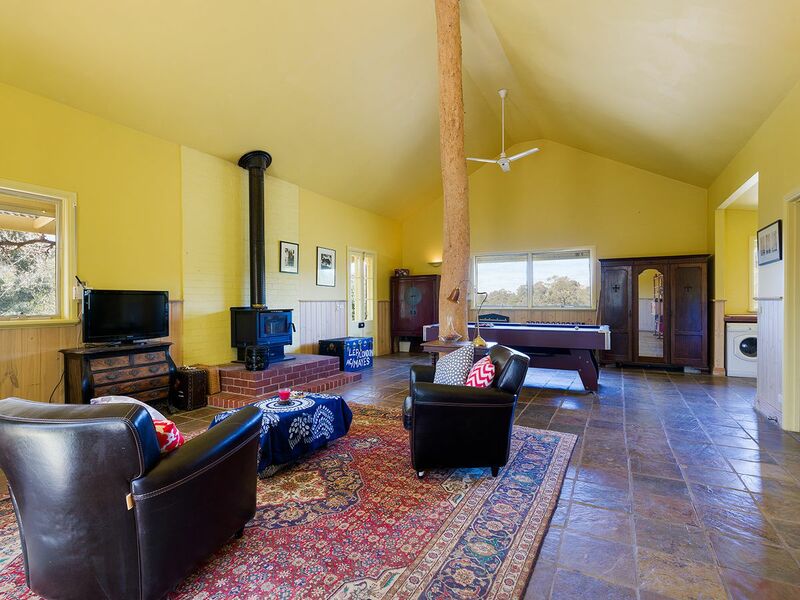 Excellent shedding, three dams, one with jetty, with entry via sweeping driveway and remote controlled gate this property offers both privacy, seclusion and contemporary style just 5 minutes to Castlemaine and the Calder Freeway.